The original version of this article, by Paola Adriázola and Stephan Wolters, appeared on the Environment, Conflict, and Cooperation (ECC) Platform. Conflict over environmental resources endangers rural people’s livelihoods and can increase the risk of broader social conflict. Yet joint action to sustain shared resources can also be a powerful means for community building. The Strengthening Aquatic Resource Governance (STARGO) project demonstrated this in three ecoregions: Lake Victoria, with a focus on Uganda; Lake Kariba, with a focus on Zambia; and Tonle Sap Lake in Cambodia. The results of the project were released at an event in Berlin in early July 2014. 1. Local priorities: Participants should define the priorities and development actions that they want to implement. When defined by locals, measures are more likely to have outcomes that bring direct benefits to the communities. Addressing local disputes often requires support from higher levels of administration, so building capacity within government agencies to convene and facilitate dialogue is critical. Sources: Consultative Group on International Agricultural Research. 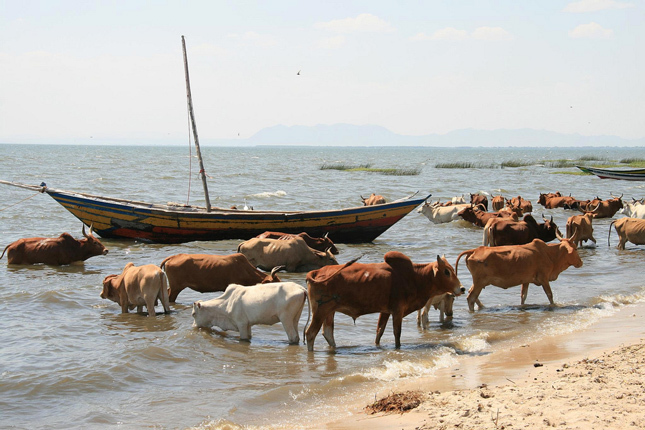 Photo Credit: Lake Victoria, Tanzania, courtesy of flickr user Marc Veraart.